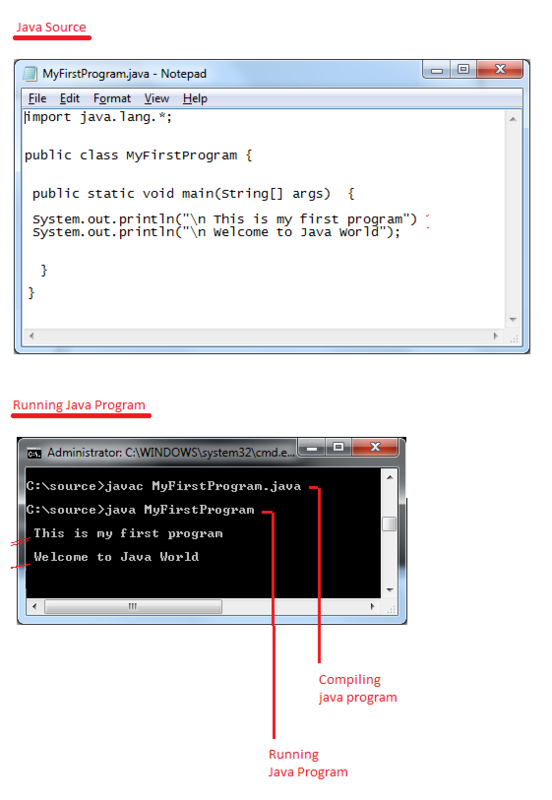 In java , Program can be defined using keyword "class". A Class starts and ends with curly braces.
} // end of the class. when we run Java Program/Class. 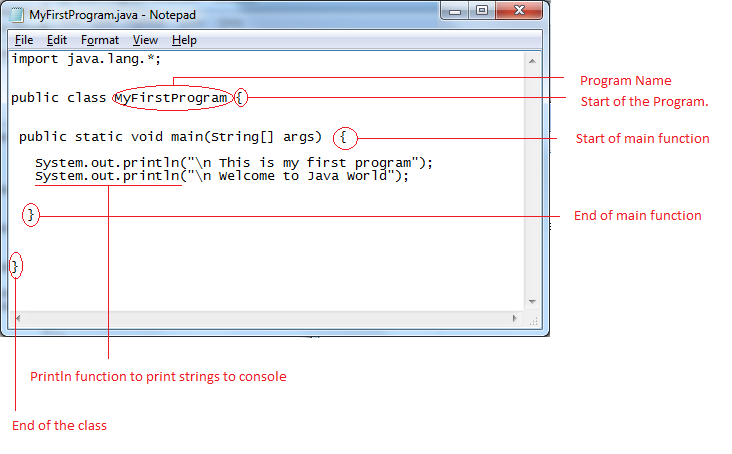 Here is the sample Hello World Program which will display the String to console. Click here for java source code. open command line prompt and compile it with javac command as shown below. Run the java program using Java command as shown below. After executing the MyFirstProgram, it will display following two lines from main() method.